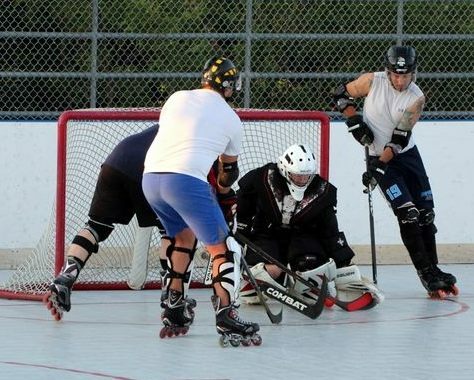 Twenty-two goals were scored in a Bermuda Inline Ball Hockey double header at the PCC Hockey Rink. Five goals were scored in the opener with the Southampton Sailors edging the Tuckers Town Tropics 3 – 2, the Southampton Sailors would take a 1 – 0 lead in the first period with a goal off the stick of Townie Jackson, Shannon Gosse would score twice in the second period to give the Tuckers Town Tropics a 2 – 1 lead going into the final period. The Southampton Sailors would get a goal from Chris Grantier and Craig Rowat they would come out on top. Mark Heintzman and Brian White both scored twice for the Warwick Waves, while Ian Beaudoin added the other goal.